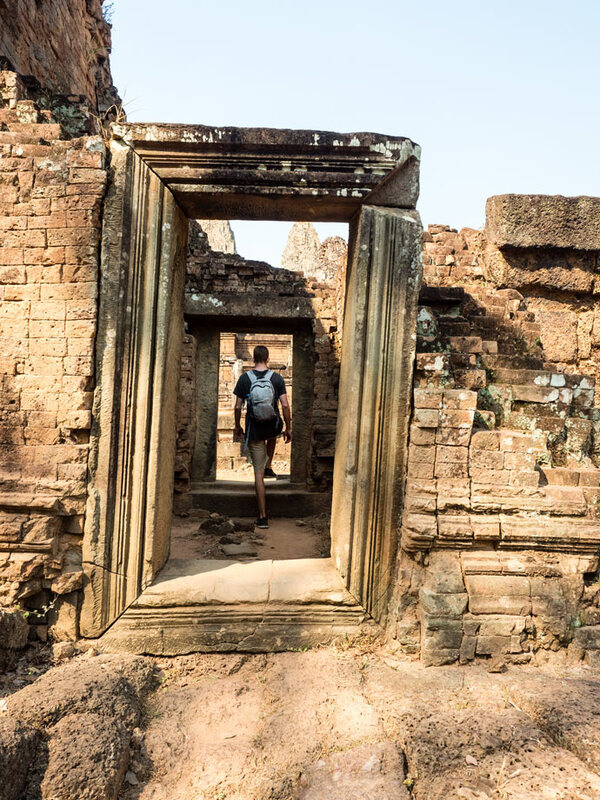 Cambodia is home to some of the most interesting and stunning temples in South East Asia, a history that will break your heart, and people you won’t forget. 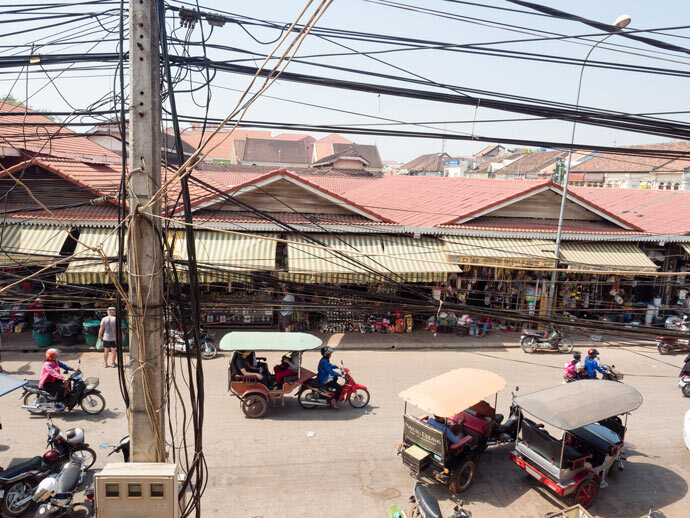 We were lucky enough to spend 3 weeks in Cambodia, intentionally going slow so we could fit some work in too. 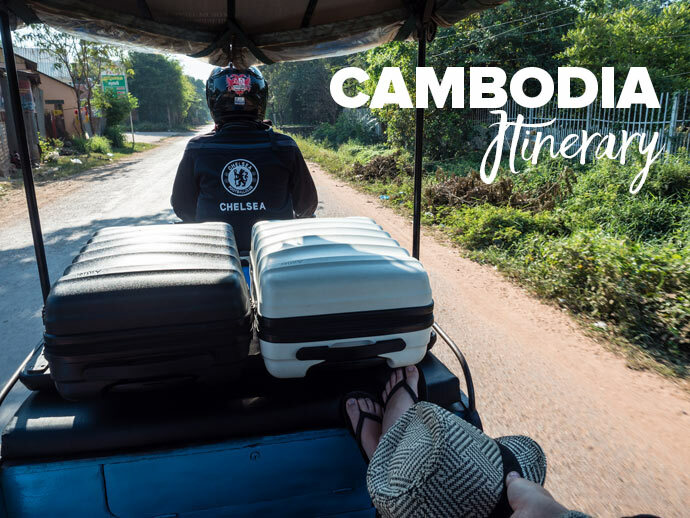 But often, you might only have a week or two to explore a new country, so we’ve put together the Cambodia Itinerary we would do if we had 1 week in Cambodia. Siem Reap is the dusty town that serves as a gateway to what everybody has come here to see… Angkor Archaeological Park. With so many temples of such a grand nature, you could spend 1 – 3 days just exploring these. 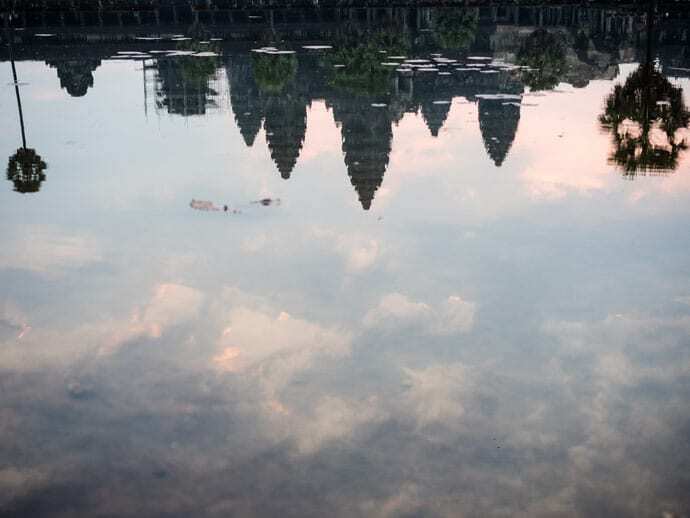 But don’t forget Siem Reap, although you may not need more than a day or two here, there is plenty to discover, from the old market to temples of a different kind, to street food and tuk tuk’s. 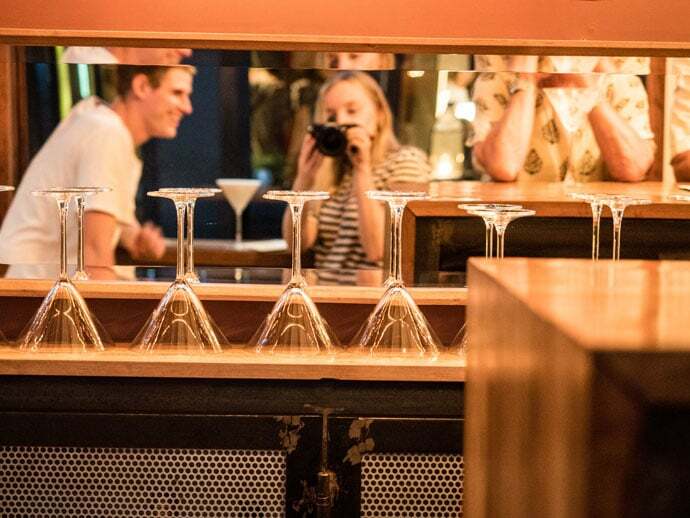 As you have only just arrived, and depending on what time, use this day to check into your hotel, plan your next couple of days and explore Siem Reap. 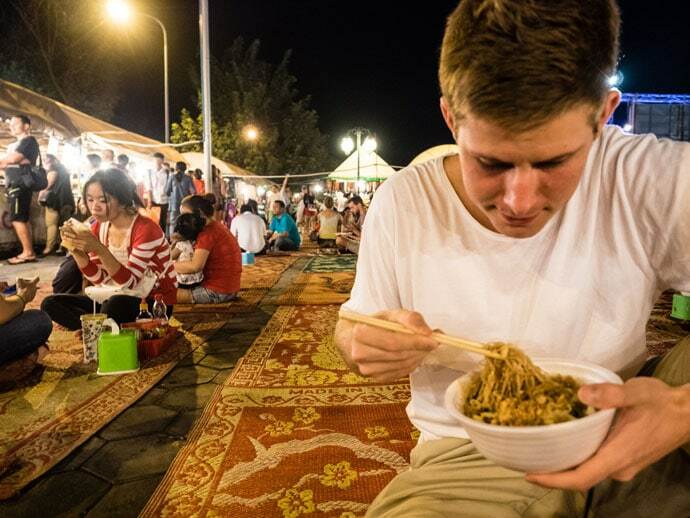 Visit the Old Market (Psar Chas) at Night and get a taste of some Cambodian street food and finish with dessert. Start exploring the amazing Angkor Archaeological Park. You will want to start early and perhaps go further afield. Explore part of the Grand circuit tour and Banteay Srei. After a big day exploring the temples, take today off to relax. This way you’ll probably appreciate them more. 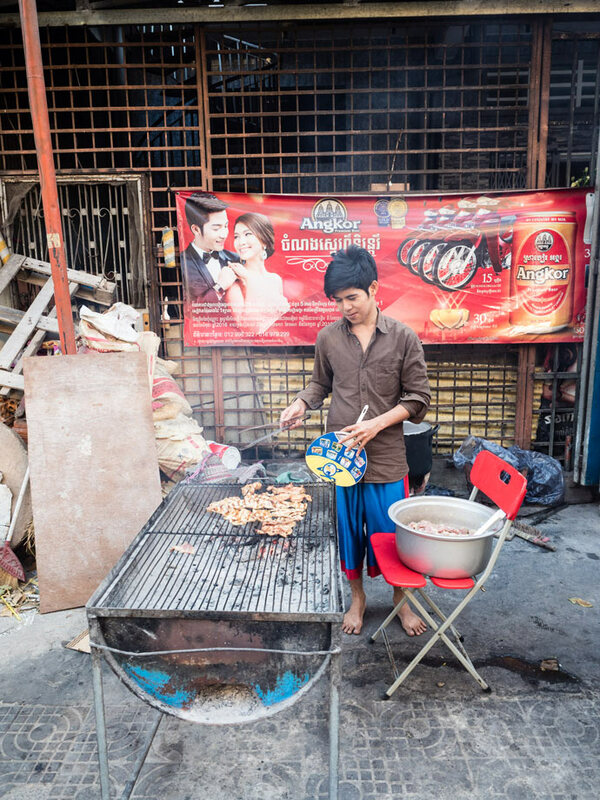 Take a look at the Old Market early morning, followed with breakfast at Sister Srey. Explore the different temples in town, like Wat Damnak, Wat Bo and Wat Prom Rath. 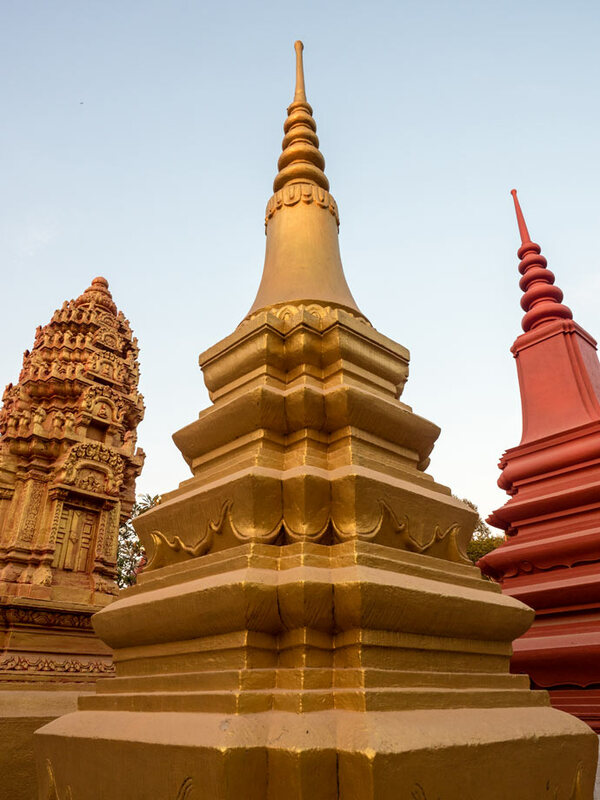 Explore the different temples in town (Wat Damnak, Wat Bo and Wat Prom Rath). A very early start to see Angkor Wat sunrise. Angkor Wat sunrise is beautiful… and overflowing with people. Aim to get there by 5 or 5.15 if you want to be front row for a great photo. Afterwards you can spend hours exploring Angkor Wat and other temples in the small circuit tour. Finish off your time in Siem Reap with dinner at Cuisine Wat Damnak. A fair amount of today will be taken in travelling to Phnom Penh (6hrs if you take the bus). We got on the bus around 8 am so we could arrive in Phnom Penh during daylight, check-in and still have an evening in Phnom Penh. 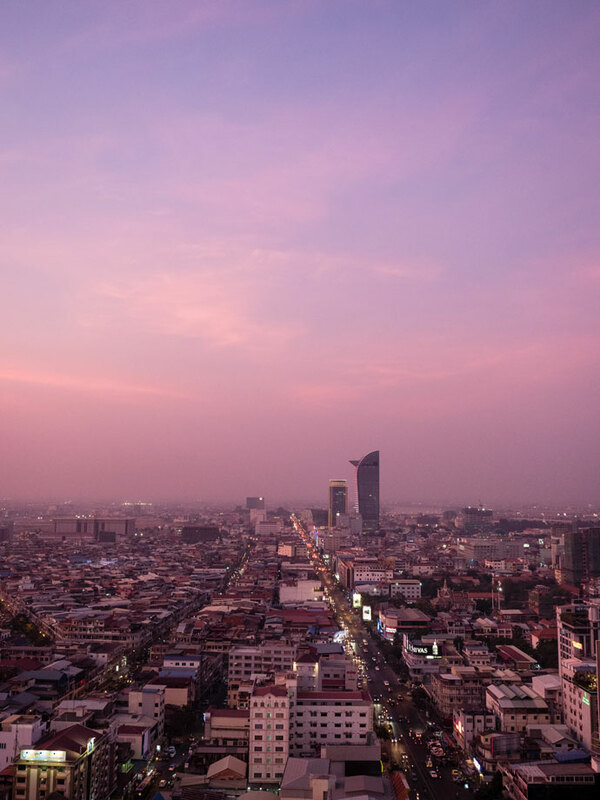 Phnom Penh is a bustling city that at first feels a bit rustic, but thanks to the large expat population you will definitely find plenty of options here. The main sights could be done in a couple of days, but if you want to stay a couple of days more you might get a more local feel. I must admit, the first few days in Phnom Penh I wasn’t sure what I thought of it. But after spending two weeks there I can say Phnom Penh is definitely a place that reveals itself over time. Arrive in Phnom Penh late afternoon, check-in and head out for dinner. A day to see the sights, but first breakfast. Near your first stop is a great family run ‘pork rice’ business. Have a pork rice and coffee to start the day. Nearby is the Tuol Sleng museum, followed by the Killing Fields. Although it will be a sad start to your day, you will definitely have a deeper understanding of Cambodia and it’s people afterwards. Have a look at the Russian Market and have a late lunch nearby at Sesame Noodle Bar (the sesame house noodle is delicious). Later in the evening head to the Night Markets to sit on a mat and have a light dinner (the Samosa and coconut ice cream were our favourites). The night markets didn’t really stand out in terms of shopping, but we loved the mat area with the food. 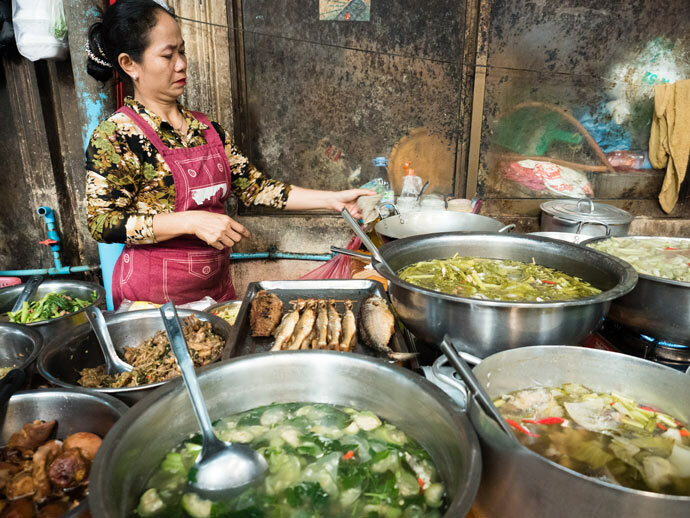 Enjoy breakfast the local way – pork rice (Bai Sach Chrouk). You can find it near the corner of street 320 and street 143. Your last day in Phnom Penh, depending what time you fly out, you could visit Wat Phnom and the Royal Palace. 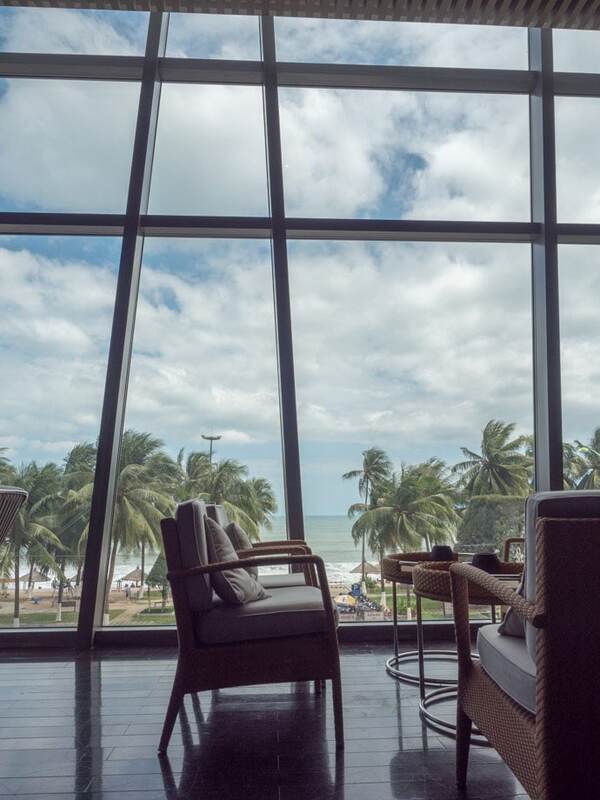 We had a great lunch nearby at Backyard Cafe, and then finish your day with a sunset over the river at the FCC club or opt for a view from above at Eclipse Sky Bar. If you have more time, there are lots of other amazing places to visit in Cambodia, such as the islands, Sihanoukville, and Kampot to name a few.